After my recent post on Vegetarianism and Ayurveda, I received a question from a reader, who was curious about why I said that in Āyurveda, there is scant reference to the preferment of a vegetarian diet as a therapeutic tool, except for the disease of unmāda (psychosis). To explain myself better, I want to provide a little background on the disease to provide some more context. The term unmāda is derived from the Sanskrit root words ud, meaning ‘upwards’, and mad, which refers to the capacity to ‘excite’ or ‘exhilarate’. 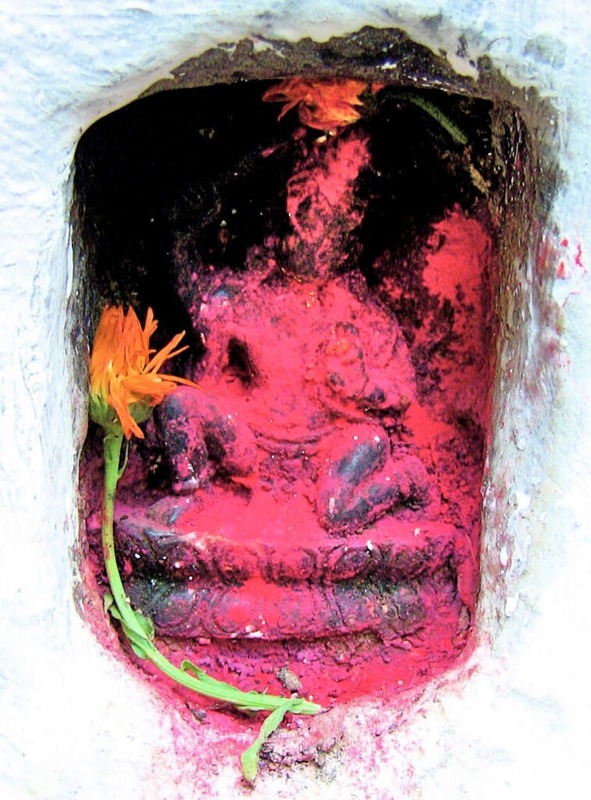 According to Āyurveda the life force called prāṇa is received by the body not just through the lungs and digestive system, but also through the top of the head. This prāṇic energy descends downwards to guide the formation and maintenance of our bodies, connecting through our feet to the earth, from a state of etheric potentiality to one of physical manifestation. 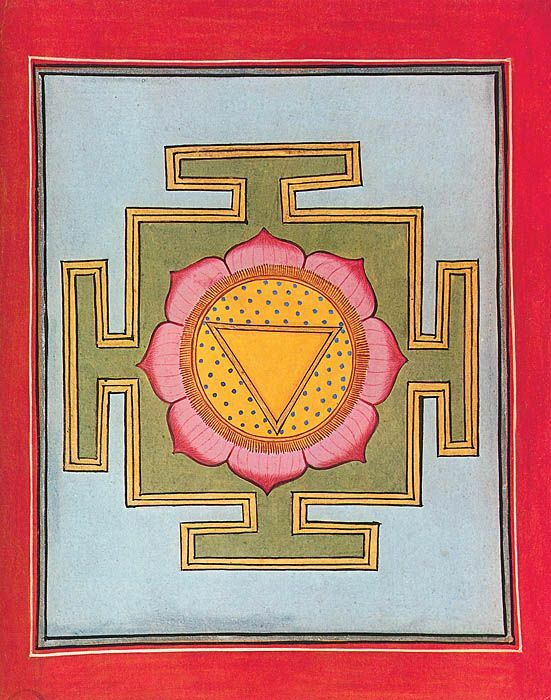 This energetic flow is symbolized by the downward-pointing triangle, representing the feminine principle. In Āyurveda, this downward moving energy relates to a subset of prāṇa (or vāta) called apāna vāyu, that roots itself in your abdomen after your first breath at birth, to become the ‘mother’ prāṇa, regulating all the other subsets of prāṇa. It is the downward-moving flow of apāna vāyu that promotes and regulates human consciousness, and a derivation of this pattern can promote disturbances of the mind. In an earlier post on anxiety I made reference to the idea that this condition is in large part caused by unexpressed creative energy. This creative energy is expressed by apāna vāyu, and a failure to properly release this energy over-excites it, causing it to rise upwards and disturb the heart. Although we like to think of the heart as nothing more than a simple pump, in both Āyurveda and Chinese medicine, as well as many other systems of traditional medicine, the heart is the seat of consciousness. By disturbing the function of the heart, the excitation and upward movement of apāna vāyu results in a disturbance to the manovaha srotas which allow for the expression of consciousness by the brain. By aggravating apāna vāyu, the pathology of anxiety in Āyurveda very much relates to the disorder of unmāda, and can even be a cause of a specific type of psychosis, called śokaja unmāda. While overt cases of schizophrenia are only thought to affect about 1% of the population, the prevalence of anxiety in our society appears to be increasing dramatically. As a disease, psychosis or schizophrenia is a condition that exists independent of culture, religion, or race, and is found all over the world. The signs and symptoms appear to be equally distributed in both men and women, although the condition often appears earlier in men, usually in the late teens to early twenties, whereas for women the condition typically appears somewhat later, in the twenties to early thirties. There are several biological theories to explain the cause of schizophrenia, most built upon the concept that it is caused by physical abnormalities of the brain, and more specifically, neurochemical defects. This includes the idea that schizophrenia relates to a relative dopamine excess, or from the antagonism of NMDA (N-methyl-D-aspartate) receptors in the brain. While both these theories are conveniently structured so as to support the use of powerful antipsychotic drugs, such as as clozapine (which blocks dopamine) and cycloserine (an NMDA receptor agonist), there are other explanations too. The single-carbon hypothesis is based on the observation that disturbances of the single-carbon folate pathway can lead to schizophrenic symptoms. This metabolic pathway provides carbon groups for a variety of chemical reactions in the brain, including the synthesis of the amino acid methionine. 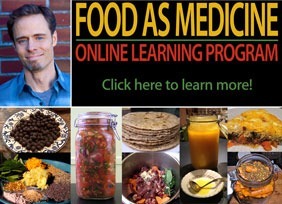 Several studies have shown that methionine metabolism is impaired in most schizophrenic patients, apparently caused by enzyme deficits in the folate pathway. While the relationship that these feature shave to neuronal transmission is entirely clear, it does support the work of practitioners such as Abram Hoffer who used B-vitamins such as folic acid and vitamin B12, that play a key role in methionine metabolism, to successfully treat schizophrenia. Likewise is there good evidence that deficiencies of other nutrients such as essential fatty acids (EPA/DHA), and vitamin D3 may play a role in psychosis. According to Caraka (Ci 9), Suśruta (Utt 62), and Vāgbhaṭa (Utt 6), the cause of unmāda (psychosis) is separated into two basic forms: that which arises innately to the body and mind (nijottha unmāda), and that which arises from external factors (āgantu unmāda). That which is arises from external factors is called devādikṛta unmāda, the term ‘deva’ referring to ‘possession’ by the graha (spirits), each type (e.g. deva graha, gandharva graha, yakṣa graha, etc.) exhibiting peculiar behaviors that allow it to be identified. Treatment for this particular form of unmāda comes under the purview of Bhūtavidyā tantra in Āyurveda, which delineates five separate types of treatments, each of which corresponds to a specific sense, i.e. smell (e.g. incense), taste (e.g. food), sight (e.g. yantra), touch (e.g. massage), and hearing (e.g. mantra). While certainly a foreign concept within modern medicine, this type of therapy has nonetheless been shown to have a powerful influence for what appear to be untreatable mental illnesses. 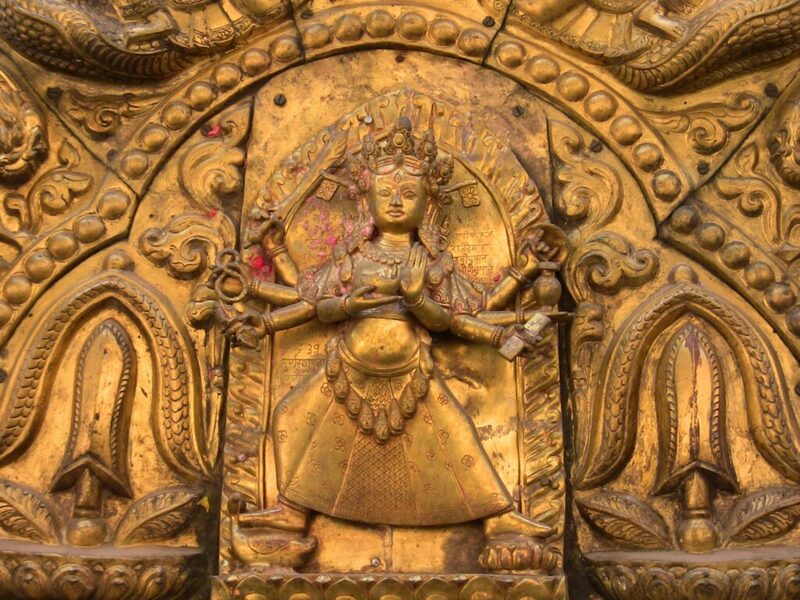 In particular, as hereditary Buddhist priests of the Bajracharya lineage, my colleagues in Nepal have been practicing Bhūtavidyā tantra for 800 years, and have a record of their successes over the centuries. Among those types of unmāda caused by innate factors (nijottha unmāda), there are five types: three for each doṣa, one for a combination of all three doṣa(s) (called sānnipātika), and one type caused by emotional disturbances (śokaja). There are, however, several factors that generally predispose one to become victim to unmāda. This includes failing to observe a proper dietary and lifestyle regimen, indulgence in alcohol and other inebrients, tāntrika practices, and disrespecting “gods, teachers and brahmins”. Certainly altered circadian patterns is a common finding among schizophrenic patients, as is a failure to obtain proper nutrition. Alcohol addiction and powerful psychoactive substances too can disturb the equanimity of the mind, and can lead to psychosis. Suśruta’s warning against improper tāntrika practices is germane, providing insight into the dynamic of a premature kundalini awakening, recently classified in the DSM IV as a “Religious or Spiritual Problem“. Lastly, while disrespecting “gods, teachers and brahmins” seems to be specific to Hindu culture, I believe that this simply refers to behaviors that are actively antagonistic to commonly held social values, leading separation and ostracization, and the emotional and mental stress that results. Vātaja unmāda is identified when the patient has an unkempt appearance, speaks harshly, demonstrates breathing problems, is a picky eater, and exhibits symptoms of coldness, emaciation, and painful throbbing of the limbs and joints. The patient can often be seen to be clapping their hands repeatedly, singing, dancing, shouting, and wandering about. Patients suffering from pittaja unmāda complain of visual hallucinations, thirst, perspiration, burning sensations, an increase in appetite, and insomnia. They can be observed to retreat from hot or warm things, preferring the cold, shade, wind and water. Patients suffering from kapha unmāda complain of vomiting, poor appetite, aversion to food, lethargy, poor concentration/comprehension, sleepiness, and a desire for warm things. The sānnipātika type displays aspects of all three doṣa(s). Śokaja unmāda relates to emotional disturbances, caused from both within and without, both real and imaginary. As I made the point earlier, this type of unmāda relates to severe emotional stress, such as anxiety. In some cases, unmāda relates to the consumption of certain poisons, called viṣaja unmāda, noted by signs such as redness of the eyes, an alteration in perception, loss of bodily control, bluish discolorations, and a loss of consciousness. 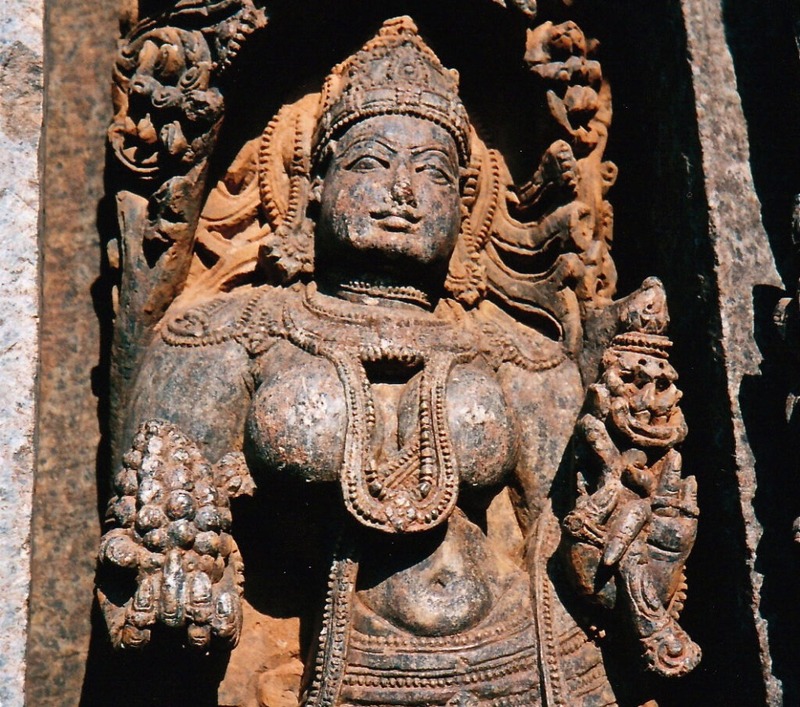 While considered a type of psychosis, the line of treatment for viṣaja unmāda concerns the specific use of antitoxin remedies described Agada tantra (agada, ‘antidote’), the branch of Āyurveda that concerns the treatment of poisoning. The treatment for the various types of unmāda depend upon the etiological agent involved. 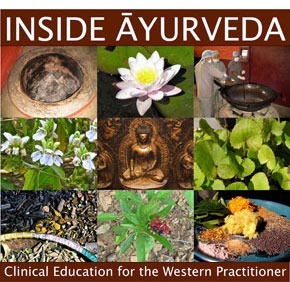 For vātaja unmāda, the primary treatment is snehapāna, ‘oil-drinking’; and abhyaṅga, ‘massage’, followed by svedana (‘steam therapy’), utilizing gentle laxatives beforehand if the patient is constipated. 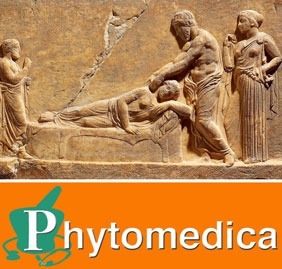 For kapha and pitta unmāda, a course of panca karma is applied, consisting of snehana (oil massage) and svedana (sudation), followed by vamana (therapeutic vomiting), virecana (purgation), and vasti (therapeutic enema). Additional measures for psychosis include śiro virecana (‘head enema’), anjana (eye sales), avapiḍa nasya (nasal medication), dhūma (medicinal smoking), and rakta mokṣaṇa (blood-letting). In the treatment of unmāda, Caraka, Suśruta and Vāgbhaṭa also mention the utility of aged ghee, called purāna ghṛta, which is stated to alleviate all three doṣa(s). Important herbal formulas mentioned in these texts include Mahākalyāṇa ghṛta, Lasunādya ghṛta, Brāhmi ghṛta, and Phala ghṛta. Individual herbs used in the treatment of unmāda, both internally and/or as incense, include brāhmī (Bacopa monnieri), hiṅgu (Ferula foetida), jaṭāmāṁsī (Nardostachys grandiflora), haridrā (Curcuma longa), guḍūcī (Tinospora cordifolia), vacā (Acorus calamus, śankhapuṣpi (Evolvulus alsinoides), and jyotiṣmatī (Celastrus paniculatus). Śokaja unmāda, or psychosis caused by emotional stress, is also addressed by reversing or ameliorating the underlying emotional state utilizing a variety psychological, behavioral and spiritual techniques. With regard to the subject of diet, the instructions given by Caraka, Suśruta or Vāgbhaṭa are rather terse, and somewhat open to interpretation. Suśruta clearly states that a barley gruel prepared with the powder of parched barley grains should given to the patient every third day, but that otherwise, the diet should be palatable and appetizing to the patient. For the treatment of unmāda related to the doṣa(s), the application of the graduated diet is important to restore digestion before the application of panca karma, followed by doṣa-specific dietary regimens. While this isn’t specifically stated, this would logically include some animal products – particularly with regard to the treatment of vāta-type psychosis. One problem here is the word used for ‘meat’ (āmiṣa), which while it certainly can mean ‘flesh’, it also means something that we might ‘lust’ or ‘long’ for. Hence, the connotation here isn’t simply a reference to eating meat, but a ‘lust’ for meat. In this regard, lusting for anything disturbs the equanimity of the mind, and is a causative factor in mental illness. Nonetheless, I am well aware that this is my interpretation, and that others will probably disagree. And so if we stick to the conventional interpretation, then it is here in both Caraka and Vāgbhaṭa, but not in Suśruta, that we have this distinction around the role of meat consumption in unmāda. Hence, this is the source of my reference, in my earlier blog on Vegetarianism and Āyurveda, that there was some discrepancy around the use of meat in the treatment of psychosis. If we peruse other important classical texts, however, such as the Cakradatta or the Bhaiṣajyaratnāvalī, we find specific recipes that call for the use of meat in the treatment of unmāda. The Cakradatta states the uncooked flesh of the sparrow pounded with milk and sugar is useful in unmāda, as is the use of the herbal formula daśamūla in a meat broth (māṃsa rasa). In the Bhaiṣajyaratnāvalī, the author Bhiṣagratna suggests the cooked flesh of the cuckoo bird restores memory and normal conscious in the patient suffering from unmāda. So what are we to make of the suggestions found in Caraka and Vāgbhaṭa that eating meat is a cause of psychosis? Considering that no mention of this is made in Suśruta, which in its current form is the oldest of all these texts, it could be that this verse was simply appended to these texts by later commentators. This type of thing is fairly common in Āyurveda and there are often a few different versions of these classical texts, some of which are still hidden away by family traditions. My Bajracharya colleagues in Nepal, for example, have a vast collection of palm leaf manuscripts, including that of the Caraka saṃhitā, that has never been carefully compared and contrasted to the existing sources. As you can see, my mind struggles with the suggestion found in Caraka and Vāgbhaṭa, because it is contradictory, and, doesn’t conform to my empirical experience. As I stated previously, schizophrenia seems to exist independent of cultural factors such as diet, and is found in both vegetarian and non-vegetarian populations. Over the years, I have helped a number of people suffering from schizophrenia, and because the pathology most frequently involves the primary citation of vāta, a meat-based diet has almost always seemed helped to ‘ground’ the patient. Among the patients I have worked with, some have also been committed life-long vegetarians, contradicting the interpretation of the verse in question, that those who “abstain from eating meat… do not get afflicted by psychosis”. As my earlier post indicates, the vitamin B12 deficiency commonly found in vegetarian populations is an important factor for the development of psychotic symptoms. Found in 81% of the Indian population, this deficiency leads to a functional folic acid deficiency, impairing the synthesis of S-adenosyl-methionine (SAMe), causing to widespread neurological damage. This is why among the typical symptoms of a vitamin B12 deficiency, such as diminished energy and pernicious anemia, there are often clear indications of mental changes, including depression, psychosis, and dementia. While a vitamin B12 deficiency is certainly not the only cause of unmāda, it can be easily remedied by following a wholesome, balanced diet. And I think we can all agree that this a prerequisite of both physical and mental health, whether you are vegetarian or not.